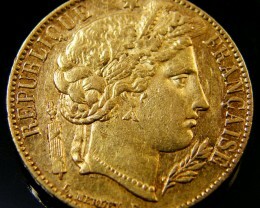 Gold coin of Bloody Mary sold for US$10000 . 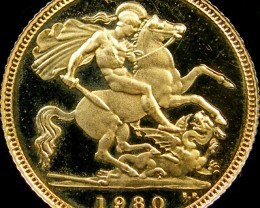 Recently, the Stack’s auction house offered for sale an amazing English coin. 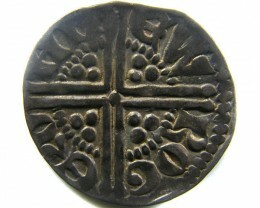 The coin, a fine sovereign of 30 pence, is one of the rarest and beautiful coins of Medieval England. It was struck during the short reign of Mary 1st, daughter of Henry the 8th and his first wife, Catherine of Aragon, and better known as Bloody Mary. 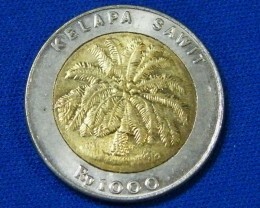 The coin is made from gold. It was a weight of 14,84 g and had a value of 30 pence at the time. On the reverse, the rose of the house of Tudors is depicted. In the center, the coat of arms depicts the English lions and the French fleur du lys. 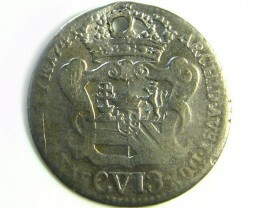 The coin was minted in year 1553, written in Latin numbers on the obverse. 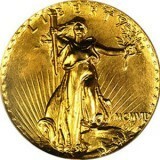 The coin was estimated at around 8000-10000 US $ by the auction house experts. Not surprisingly, the final selling price was at the high limit of this estimation. 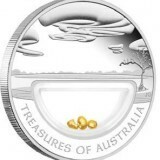 Beside the fact that it is a rare coin, made from a precious metal, and minted by a rare queen with a short reign, the coin is in great shape, a decent VF, and it is very well struck, centered, with a high impression. This is not a usual thing to find on a medieval coin. Mary was born in 1516, daughter of Henry the 8th and his first wife, Catherine of Aragon. She was the only surviving child of the royal couple. After the divorce of her parents, an important historical event not only for England but for all the world, her relations with her father were not in the best condition. She was influenced by her mother, and raised as a Catholic and not a protestant, as her brother and sister, Edward and Elisabeth. She was second in line after Edward, son of Henry and Jane Seymour, who was younger than her. In July 1553, teenager Edward died at almost 16 years old. After a short dispute with lady Jane Grey, a controversial queen of England (who ruled for 2 weeks from the Tower), Mary became queen as Mary the 1st. Mary wasn’t a proper queen, thought the protestants and her step brother, Edward. But her rights to the throne were very clear and strong. As from 19 July 1553, after executing her rival, Jane Grey, she became the only queen, with her step sister, Elisabeth, daughter of Henry the 8th and Anne Boleyn. Her reign, from 1553 to 1558, is characterized by her religion precepts. As a catholic, she sustained this side against the protestant, both religious and political. Her marriage with King Phillip the 2nd of Spain, the most important catholic king of Europe, had an important influence on her policy. Some protestants who opposed her were burned alive. Several clerics who opposed her were executed, including the Archbishop of Canterbury. The reason was purely political and religious. Her reputation was affected as her nick name became “Bloody Mary”. In 1558, she died, almost inexplicably, and the throne was inherited by her sister, Elisabeth, a protestant. 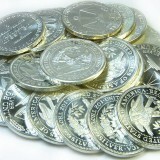 Her coins are very rare today because of the low mintage and the short period of reign.